If you’re brand new to FLY LDN, check out our first time offers to give you a taster of what we’re all about. Try us out with our first timer £10 intro offer. Redeem on any class, any time. Try all our classes to find your flow! Twelve classes to use in two weeks. Top up with our class package options. Expires 30 days from purchase. Cancel less than 12 hours before the class or no show and lose your session. Expires 3 months from purchase. Cancel less than 12 hours before the class or no show and lose your session. Expires 6 months from purchase. Cancel less than 12 hours before the class or no show and lose your session. Expires 8 months from purchase. Cancel less than 12 hours before the class or no show and lose your session. If you’re a regular at the studio, why not upgrade to one of our monthly memberships, with lots of extra benefits it’s a great . ALL ACCESS is our standard membership. 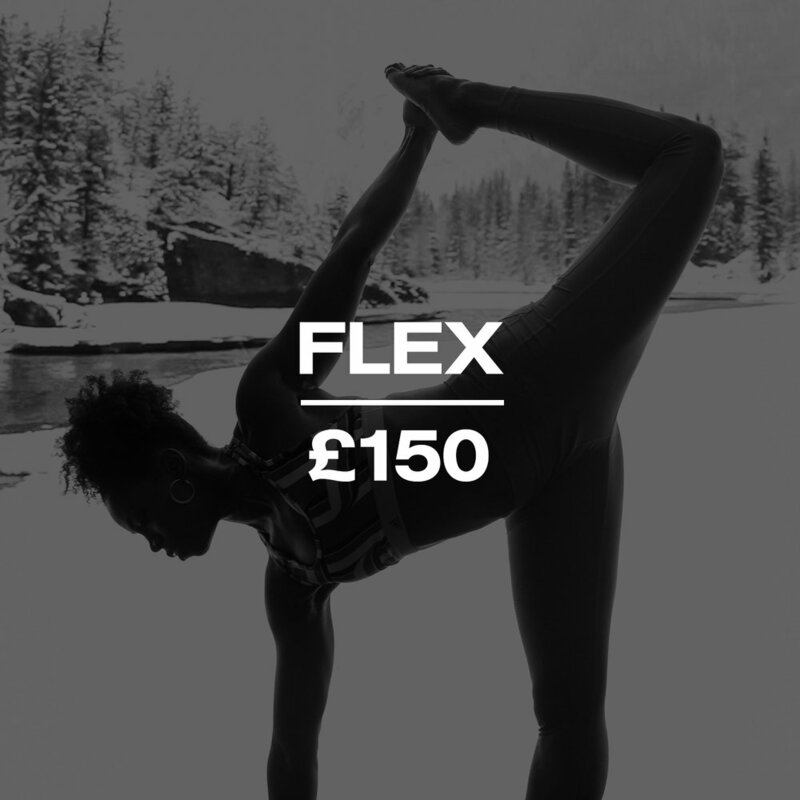 x20 classes per month, waiting list priority, advanced booking & 10% off athleisure and treatments. FLEX is our yoga & pilates membership. This includes: unlimited yoga and pilates classes per month, waiting list priority, advanced booking & 10% off athleisure and treatments. As part of our training program for new Yoga practitioners we offer a £5 drop in class to try them out every Saturday. This class is Slow Flow and open level, so anyone can join.